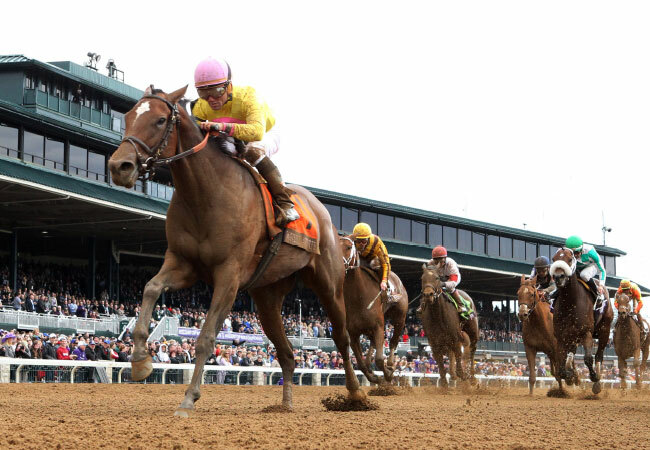 Breeders’ Cup, one of Thoroughbred horse racing’s most prestigious international events, announced Keeneland Race Course in Lexington as the host site for the 2020 Breeders’ Cup World Championships, taking place on Friday, November 6th and Saturday, November 7th. This will be the second time that Keeneland, one of the country’s most storied racetracks, will serve as the event’s host site. Breeders’ Cup’s decision to return to Keeneland is a testament to the brand’s effort to offer a more elevated and enhanced fan experience by bringing the event to more intimate venues. With a renewed focus on patron experience and event logistics, the 2015 and 2017 renewals of the World Championships produced record-breaking ticket sales revenue and on-track wagering revenues, respectively. Ahead of the 2015 event, Keeneland was expanded to accommodate the event’s large crowds, including the installation of temporary seating chalets and lounges to provide fans with unique venues and experiences. The Friday and Saturday races drew a cumulative crowd of 95,102 attendees, breaking attendance records for Keeneland. 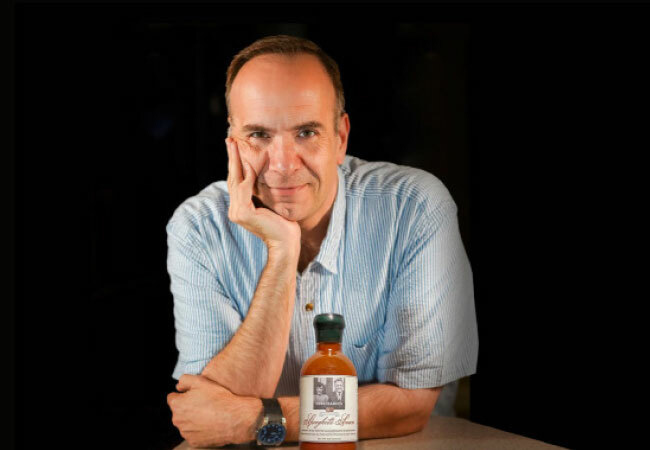 Father Jim Sichko, Papal Missionary of Mercy for Pope Francis, Evangelist, and self-professed foodie now has his own food label: Miss Marie’s Spaghetti Sauce, a tribute to his mom. Marie Sichko passed away suddenly last year, and would have turned 90 on August 15 of this year. Fr. Jim Sichko’s Italian mom was known for her Italian cooking. This is especially true of her signature sauce, the recipe for which she kept guarded and under lock and key. She shared the sauce with many though, as she loved to cook for others. Miss Marie provided lunch weekly for the sanitation workers who picked up her neighborhood garbage. Fr. Jim hopes Miss Marie’s Spaghetti Sauce will bring families and friends together around the dinner table and foster good will, as did his popular series “An Evening Among Friends”, which brought celebrities including Natalie Cole, Harry Connick, Jr., Donny Osmond, Dolly Parton, Regis Philbin and Martin Short to Richmond, Kentucky. Harry Connick, Jr. coined Marie’s nickname when making his visit to Kentucky for “An Evening Among Friends”. Connick became endeared to Fr. Jim’s mom, calling her “Miss Marie”. Connick, along with each of the celebrity guests from the popular 12-year series spearheaded by Fr. Jim, received one of the first bottles off the distribution line. Miss Marie’s Spaghetti Sauce is an all-natural, Kentucky Proud product. Award-winning chef Ouita Michel provided encouragement and support for the project. Fr. Jim also consulted with Nancy Ward of Ward’s Kentucky Specialties, and the sauce was processed at Kentucky’s Bluegrass Superior Foods. All aspects of the product are handled in Kentucky, including the label, jar, ingredients and bottling. Miss Marie’s Spaghetti is made in and distributed from the Bluegrass state. Proceeds from sales will be divided equally between South East Texas Hospice (one of the first 20 Hospices founded in the United States) and the Diocese of Lexington’s One in Christ Annual Appeal, which assists many, including struggling families in Eastern Kentucky. Thousands of bottles of the sauce are being distributed this year online and in stores. The special sauce is $10 per jar and can be found in various shops around the Bluegrass or online at either missmariesspaghettisauce.net or frjims.com. Experts agree that variety is a key component to sticking with a workout routine and breaking through plateaus. Jazzercise Hartland owner Cindy McGeorge has 34 years of experience teaching Jazzercise. 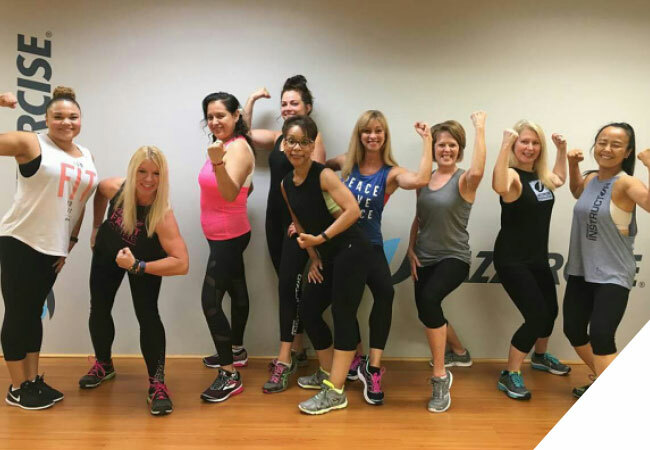 She and her fun-loving, inspiring, experienced team of instructors offer a workout method that fuses jazz dance with Pilates, cardio-boxing, resistance training and yoga, all in one, fun place. Instructors mix new choreography with a variety of great music so classes are always fresh and motivating. September means big savings at Jazzercise Hartland. New clients can start for just $10 through September 30th. No appointment is necessary: just drop in to their beautiful, spacious studio in Hartland Center. They have 31 weekly classes and options starting at 5:30am all the way until 7:15pm. All ages and fitness levels can enjoy Jazzercise. Curious? Call 859.327.0293 or visit jazzercise.com to learn more. Tap into easy ordering and exclusive deals with the Liquor Barn app! Access your favorite liquor store from anywhere. The free app, available on the Apple App Store and Google Play, offers users the ability to have beer, wine and spirits delivered or ready to be picked up in store. The Liquor Barn app is perfect for sending gifts, stocking an at-home bar or preparing for dinner parties, office events, tailgating and more. Check out Staff Picks, specials and more. Plus, save Your Favorites to make future orders a snap! For a limited time, enter code TOPSLEX and get your first delivery fee waived! After spending the last quarter of a century in the Tates Creek Centre, Logan’s of Lexington announced in mid-August that they will be moving to Lexington Green this fall. Their new 8,600 sq. ft. location will offer customers an updated and expanded shopping experience unlike any other. For 54 years, Logan’s has made a name for itself in Central Kentucky, earning a reputation for offering hands-on customer service and a great selection of suits and sport coats. In addition to the great lines Logan’s has always been known for, including Peter Millar, Vineyard Vines, Allen Edmonds, Southern Tide and others, the Lexington Green location will include expanded offerings with new classic collections and brands like Barbour. As a locally owned and family operated business, they are proud to partner with other local manufacturers and artists, offering guests the best in Kentucky made products from E.F. Meeks, A Touch of Kentucky, Wixology Candles, the Kentucky Double and others. Lexington Clinic is excited to announce four new physicians are now a part of Central Kentucky’s largest multi-specialty medical group. Ellen Flinchum, MD; Brad Ihrig, MD; Katherine Roden, MD and James Smith, Jr., MD are all now accepting new patients. Dr. Flinhcum and Dr. Roden will both be a part of Lexington Clinic’s reoffering of pain medicine services. Dr. Flinchum is board-certified in Pain Medicine as well as Physical Medicine and Rehabilitation. Dr. Roden is board-certified in Anesthesiology and board-eligible in Pain Medicine. Dr. Ihrig served as a preceptor at the Western Montana Family Medicine Residency for the past four years and is a fellow of the American Academy of Family Medicine. Dr. Smith is board-eligible in Neurosurgery. Lexington Clinic was founded in 1920 and is Central Kentucky’s oldest and largest group practice. Lexington Clinic has nearly 200 providers and serves more than 600,000 patients every year. Lexington Clinic has providers in 30 different specialties and has more than 25 locations throughout Central Kentucky. Samantha Fore of Tuk Tuk Sri Lankan Bites is joining forces with Wyatt Sarbacker to form AteBit Lexington. The team broke ground on a brick and mortar location behind Arcadium in August. Fore also participated in Brown in the South to benefit Southern Foodways Alliance on August 13th in Nashville. In early October, a second Napa Prime location will occupy the former JDI space at 319 Cedar Street. The first floor will feature the unrivaled dining experience customers have come to love at the original Versailles location. The second floor will be their Rocks Bourbon Bar and the third floor will serve as an event space called Napa Prime Events, featuring their signature catering. Gus’s World Famous Fried Chicken will open will open “soon” at 321 East Vine. Following a series of setbacks, the eatery seems close to its opening. It now has an awning sign and mural painted by local artist Pierce Birdsong. Chick-fil-A opened at 2299 Richmond Road on August 23rd. In keeping with a longstanding chain tradition, fans camped out for a chance to get their hands on prizes and free food. Make-A-Cake Cupcake Bar opened on August 5th at 309 North Ashland Suite 130. Guests can customize their dessert by choosing their cake, filling, frosting and toppings on the spot. The concept was started by three Lexington sisters who moved to Atlanta. The concept was so successful, they brought it home to Kentucky. Babita Shrestha started Vegan Nepal to answer Lexington’s need for flavorful plant-based food. She offers catering, meal planning and, more recently, a series of local pop-ups. Skyline Chili opened August 27th at 2850 Richmond Road. Sedona Taphouse opened August 27th in the Palomar Centre. KSBar and Grille is now open at 1030 South Broadway. Grimes’s Fast Food opened at 4248 Saron Drive. Formerly known as Richie’s, the eatery is now named after owner Geoffrey Grimes’s sons. J. Gumbo’s plans on opening in September, bringing Cajun and Creole fare to 808 North Limestone.